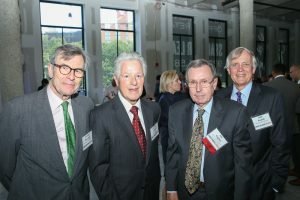 New Jersey Future offers various sponsorship opportunities at our two signature annual events, the Redevelopment Forum and the Smart Growth Awards. 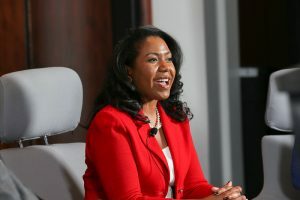 Both events draw hundreds of participants and thought leaders from diverse industries. 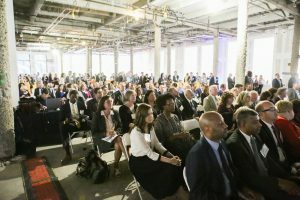 These events are a great opportunity to showcase your organization’s interest in making New Jersey more resilient, connected, and economically vibrant. Contact Michele Glassburg (mglassburg njfuture org) to reserve a sponsorship at any time. 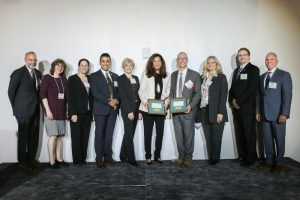 New Jersey Future’s Smart Growth Awards celebrate the best in planning, development and redevelopment projects around the state, encouraging sustainable growth and environmental preservation. 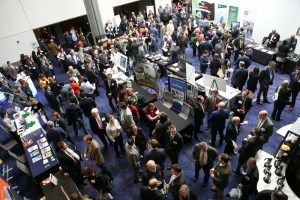 This event attracts more than 300 top professionals in architecture, planning, development, transportation, engineering, environmental conservation and policy, including representatives from state, county and municipal governments. Sponsorships start at $500. Depending on sponsorship level, benefits include program book ads, complimentary tickets, hyperlinks on our website, logo placement at the event and social media promotion. 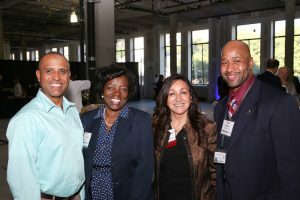 Sponsors are acknowledged the night of the awards ceremony and included on the event page on our website, as well as in our newsletter and event emails, which reach more than 5,800 interested professionals. View the 2019 sponsorship package here. Contact Michele Glassburg (mglassburg njfuture org) to reserve your sponsorship. Our call for 2020 award nominations will open in the summer. New Jersey Future’s Redevelopment Forum is a day-long conference that brings together more than 500 municipal and state leaders, citizen activists and leading professionals in planning, development, law, transportation, architecture, construction, environmental conservation and historic preservation to share best practices and lessons learned. Redevelopment Forum sponsorships start at $500. 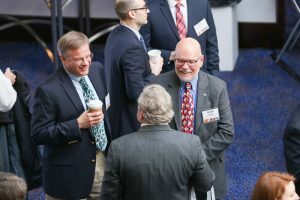 Sponsorship opportunities include plenary sessions at breakfast and lunch, panel discussions, session tracks, the networking reception, and scholarships. New Jersey Future offers various benefits for different sponsor levels, such as exhibit space, company logo on the Forum website, event signage, registrations, and promotion before, during, and after the event through email, social media, and our website. 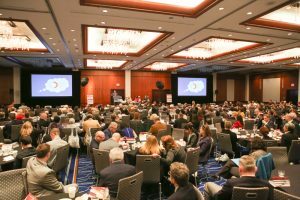 The 2020 Redevelopment Forum is scheduled for Friday, March 6 at the Hyatt Regency in New Brunswick. Look for specific information about 2020 sponsorship levels this coming fall. ContactMichele Glassburg (mglassburg njfuture org) to reserve your sponsorship. New Jersey Future has earned Charity Navigator’s highest rating — four stars — for financial health, accountability and transparency.